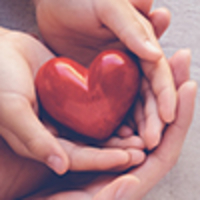 Provide comfort for the family of Nancy Mason with a meaningful gesture of sympathy. Nancy Lee Dragoo Mason, 89, widow of Billy Allen Mason, died Wednesday, March 6, 2019 at Harrison Memorial Hospital. She was born November 29, 1929 in North Middletown, daughter of the late James Robert and Eula Bivins Dragoo. 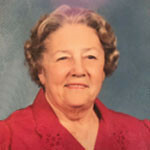 Nancy was a 1947 graduate of North Middletown High School, a former member of Bourbon County Homemakers, and was a member of First Christian Church (Disciples of Christ) where she had been a member of the June Stanley Circle. She is survived by a daughter, Beverly Mason (Robert) O’Neal; two sons, Jimmy (Brenda) Mason, William “Buddy” Mason; four grandchildren, John Allen (Amy) Mason, Jamie Kay Mason, Amanda Lee (James) Tomlin, William “Billy” Allen Mason; two great grandchildren, Molly Jean Mason, Mia Allen Mason; niece, Linda Moore; and a nephew, Rick (Kelli) Dragoo. A brother, Earl Chenault Dragoo, preceded her in death. Funeral services will be 11:00 a.m. Monday, March 11, at First Christian Church (Disciples of Christ) by Rev. Jeff Bell with burial in Millersburg Cemetery. Casket bearers will be John Allen Mason, Jamie Kay Mason, Amanda Lee Tomlin, William Allen Mason, Claude Edward Berry, and Gary Gene Gaunce. Honorary bearers will be Robert Lynn O’Neal Sr., Brenda Kay Mingua Mason, Bobbye Gaunce, Clyde Parsons, William Eugene Thomas, Bob Huff, Shonda Mingua, Ricky Mingua, Clarence Abney, Todd Gaunce, Geraldine Harris, Iva Stevens, Theodore Kuster, Dr. Robert and Sue Biddle, Kenney Roseberry, Annette Crossfield, Jane Jolly, Betty Jo Garrison, Jane Johnson, Billy Davidson, Pat Hutson, Becky Neal, Richard and Deanna Eads, Rev. Robert Steffer, James and Maudie Cornett, Lee Ann Hughes, Linda Hyatt, Dr. Kenneth Ain and Kevin, Keith Waugh, Ruby Avery, James C. “Jay” Rankin IV, Dr. Erin Cooper, Jim Cleaver, Brenda Berry, the Perry Hutson family, Henry Norris employees of Rite Aid Pharmacy, Bourbon Heights Nursing Home staff, the staff of the Bourbon County Citizen, and the staff of Federated Transportation Services of the Bluegrass. Visitation will be 5:00 to 8:00 p.m. Sunday at the church. In lieu of flowers, donations are requested to First Christian Church (Disciples of Christ), 911 High Street, Paris, KY 40361. To send flowers in memory of Nancy Lee Mason (Dragoo), please visit our Heartfelt Sympathies Store. Donations are being accepted for: FIRST CHRISTIAN CHURCH. Provide comfort for the family of Nancy Lee Mason (Dragoo) by sending flowers. To all who loved Nancy Mason, I would like to say how sorry I am about your loss. I lived next to Nancy's daughter, Beverly during my childhood and she is a wonderful and loving woman to me. I am sure she got that from her Mom. Nancy is now in Heaven waiting for those she loved to, someday, join her!